Which celebrity is most likely fall for a prank intentionally on April Fool's day? April 1 is coming soon, which means almost time for April Fools' Day! With the annual prank day just around the corner, an online math education company called Seven Edu held a public survey involving 540 people to find out which celebrity would most likely fall for a prank on purpose, just because of their kind personality.�The survey took place from�March 19-29 with the question, "The number 1 star who is most likely to fall for a prank intentionally�because of their kind nature?" Out of many popular celebrities, Wanna One's Kang Daniel took the first place with an overwhelming number of 50% (270). 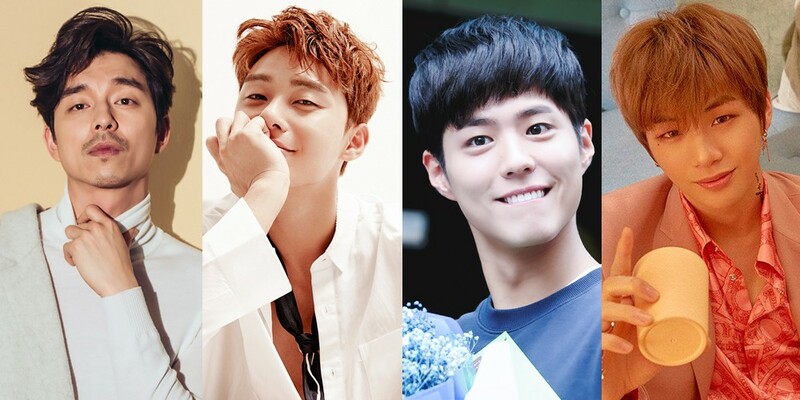 Behind him were actors�Park Bo Gum (150, 27%), Park Seo Joon (27, 5%), So Ji Sub (12, 2%), and Gong Yoo (12, 2%). Who else do you think could make this list?